Bring home shots that dazzle. The powerful and versatile AF-S NIKKOR 200-400mm f/4G ED VR II captures amazing images in nearly any light, making it a perfect lens for serious sports and wildlife photographers. Its f/4 fixed aperture renders beautiful background blur (bokeh) and lets you maintain an exposure across the entire focal length range. Nikon VR (Vibration Reduction) image stabilization provides 3.0 stops* of blur free handheld shooting, assuring dramatically sharper still images and HD video capture. 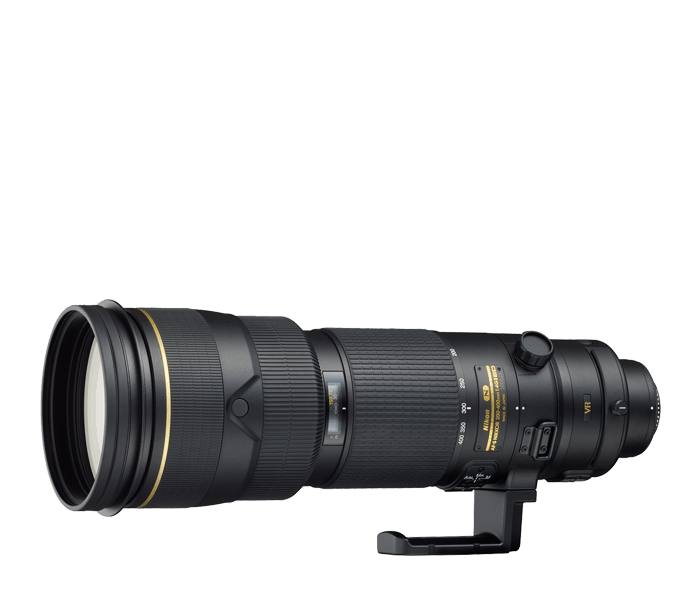 The AF-S NIKKOR 200-400mm f/4G ED VR II is an advanced lens designed to meet the demands of today’s professionals. Nano Crystal Coat (N) reduces ghosting and flare. 4 Extra-low Dispersion (ED) glass elements offer superior sharpness, contrast and color correction, even at f/4. Nikon’s exclusive Silent Wave Motor (SWM) enables ultra-fast, ultra-quiet autofocusing with seamless manual focus override. In even the most challenging situations, you’ll deliver brilliant images.